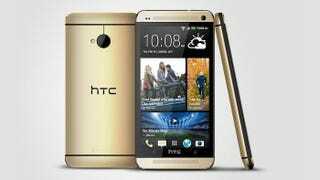 HTC has just announced a gold-colored version of the One. HTC has just announced a gold-colored version of the One. This one won't set you back $4,400—it costs the same as the standard silver model—but it still looks pretty blingin'.